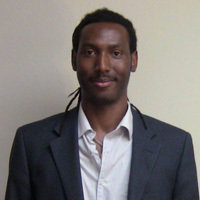 Neal is the founder and co-director of Game-Zone Recreation. 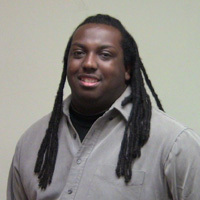 He serves as Game-Zone Recreation's web developer and game designer. 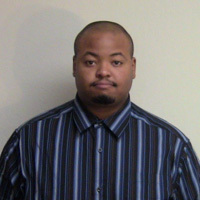 He is one of Game-Zone Recreation's journalist, writing primarily video game reviews, previews, and editorials. He also serves as one of the lead coordinators of Kin-Yoobi Con. Neal is very passionate about video games. He's currently developing a video game with other members of Game-Zone Recreation called Eternal Dragon. 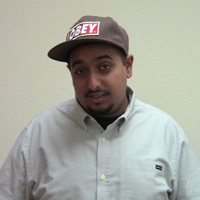 Joshua joined Game-Zone Recreation at Chabot College during its very first year in 2005. Since then he has been instrumental in hosting, organizing and promoting GZR's Video Game tournaments, Anime and Video Game conventions, and any other event GZR has held. Anime and video games are huge passions that he maintains so working with GZR would seem natural to him. Joshua is also a journalist who has worked in just about every media field such as radio, TV, film and news paper publication. 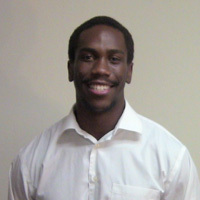 He hopes to use information he has acquired in those fields to help contribute and progress GZR to an even higher level. 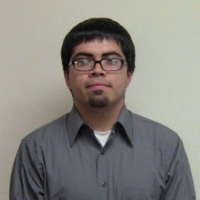 Joshua is currently working toward his Bachelor of Arts degree in film/media and is also the president of the Game-Zone Recreation club at Chabot College. In his spare time he plays video games competitively and enters and goes to many video game tournaments with fierce competition. 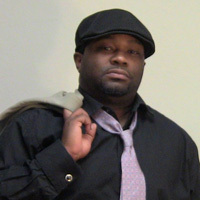 Joshua is also an award winning broadcaster of the year radio DJ and currently has a radio show with KCRH 89.9 as the J-Man and his show is every Wednesday from 6-9pm which he has had for a few years now. Their website is www.KCRHradio.com and you can listen online. Nick has been gaming since the time he was a kid. He has and always will have a passion for video games. He also loves most music in general. He is the twin brother of Game-Zone Recreation founder, Neal Trotter. 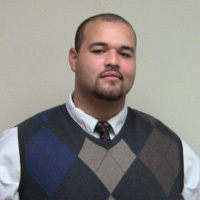 Nick works as co-director of Gamezone Recreation. Nick is the Equipment Manager for all Game-Zone events like Kin-Yoobi Con. 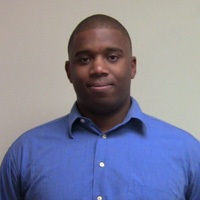 He also serves as Tornanement Co-Manager for Game-Zone Recreation's competitive gaming events. Kareem's passions in life have always been mma, video games and anime. Currently he is an employee at U-Haul Moving & Storage, trains in thai boxing and wrestling, and is a manager for Game-Zone Recreation. His key roles with the company has been to organize and construct many of the things GZR is associated with today. He dedicates a lot of his time into the development, promotion, and working with the clientele for Kin-Yoobi Con. With a vision and a new found attraction to cosplaying he looks forward to the growth and success of the convention. Amber was introduced to Game-Zone Recreation as a convention attendee at Kin-Yoobi Con 2008. 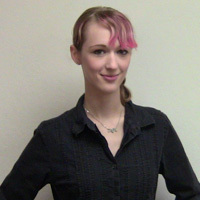 In 2009, she offered her convention knowledge to the planning of Kin-Yoobi Con and joined GZR. She is a journalist for the GZR site, mainly writing reviews of anime and comic book conventions, and similar, Japanese-based events. She is also an event planner and coordinator for Kin-Yoobi Con. Amber is currently a freshman at Ohlone Community College, where she is studying biology and theater. However, she has strong passions for anime, video games, conventions, and cosplay. She attends an average of five conventions a year, ranging from anime to comic book to sci-fi, almost always adorning the appropriate costumes, which she usually makes herself. Her interest in costuming started in 2007 with a Fruits Basket cosplay, and continues to grow. Since then, Amber has placed in four out of the five cosplay competitions she's entered, winning overall in two of them. Greg is the Art Director and one of the prominent Con Chairs of GZR's Kin-Yoobi Con. Whether in support or leadership he is continually pushing to move Game Zone Recreation and Kin-Yoobi Con forward. "Chibi Jan-Ken-Po" and Kin-Yoobi Con's Gauntlet which features the live action game, "VELCRO NINJA" are just two of the exciting events he's responsible for. He has a passion for video games, multimedia art and creative expression so when you see Game Zone Recreation's art for fliers, games, posters or design there's a good chance he's had a hand in it. Greg is also a Game Designer and the Project Manager for GZR's mobile game studio: Electronic Care Package (ECP) which has several games in various stages of development. Look to see some of the new creations he's working on to bring Game Zone Recreation's fans! No introduction available at the moment.